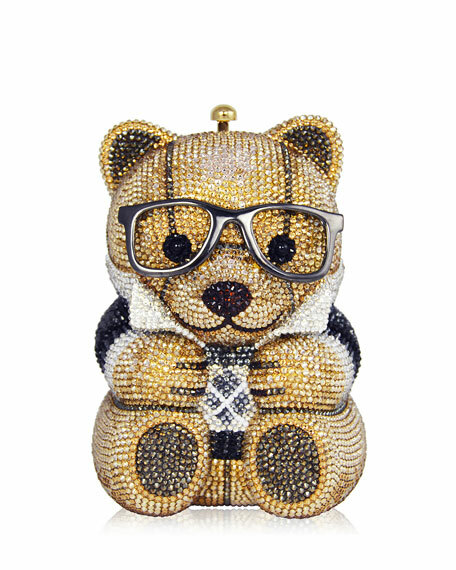 Judith Leiber Couture "Spencer" teddy bear clutch encrusted in Austrian crystals. Chain strap can be tucked inside, 7.9" drop. Teddy bear is styled with eyeglasses and a collared shirt. 5.9"H x 3.5"W x 3"D.
For in-store inquiries, use sku #2038857.